"So, what have you seen in London," they ask. "Lots of stuff," I reply. "Have you been to the British Museum?" they ask. "I can't believe you haven't been! It's amazing," they say. "I'm not really a big fan of museums," I offer as half explanation, half apology. "You should go and see it. 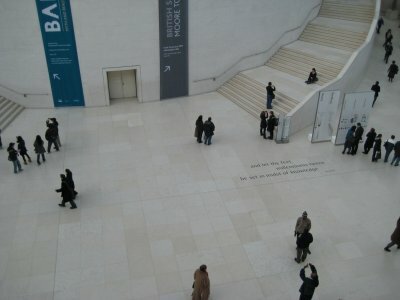 It is free, and I think it'll change your mind about museums," they command. 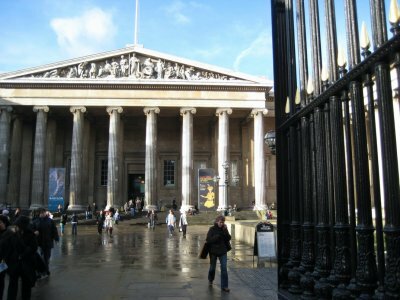 The British Museum was opened to the public in 1759, and was initially based on the collections of the physician and scientist Sir Hans Sloane. 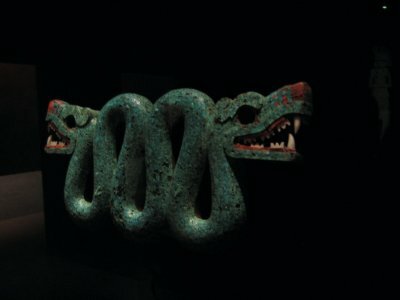 Today the museum is one of the largest collections in the world, with over 7 million items in their collection. The museum today sits in a massive building, parts of which date back to the 1820s. Newer is the Great Court, the central quad covered by a massive atrium designed by Norman Foster and opened in the 1990s. 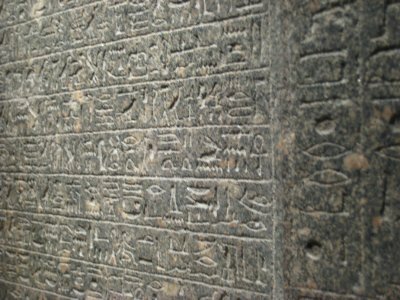 The museum is probably best known for it's Egyptian artifacts, including what seems like 1000s of sarcophagi and a large number of hieroglyphic panels. 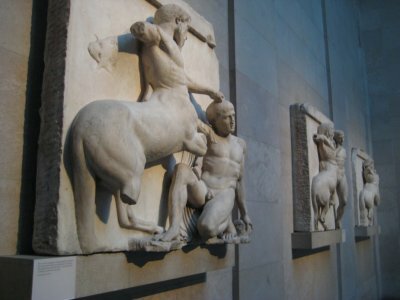 Also well known is the collection of statues and panels from the Parthenon in Athens, known sometimes as the Elgin Marbles. These, though are known due to the controversy of where they should be. Built nearly 2,500 years ago as a temple dedicated to the Greek goddess Athena, the Parthenon had fallen into disrepair by the late 1700s. Between 1801 and 1805 Lord Elgin, the British ambassador to the Ottoman Empire of which Athens had been a part for some 350 years, removed about half of the remaining sculptures from the fallen ruins and from the building itself. 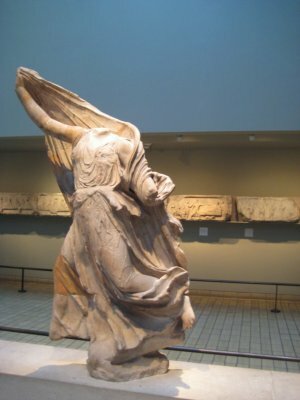 Since the early 1980s Greek governments have argued for the permanent removal to Athens of all the Parthenon Sculptures in the British Museum. 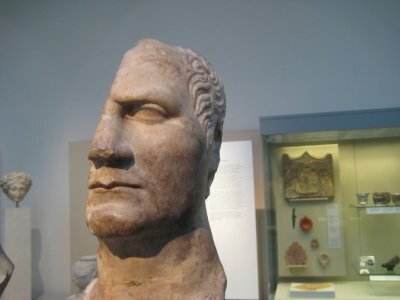 The British Museum disagrees, arguing that without them the statues would probably be lost, and that by having them in the museum, the ancient Grecian culture and art is shared with the general public. 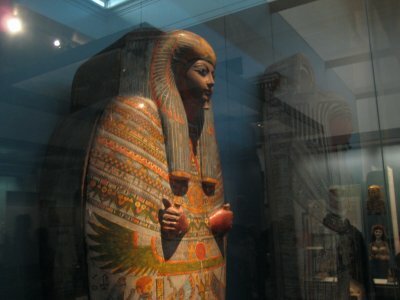 Beyond the Nile Delta and the city-state of antiquity, the museum has a lot of other collections. 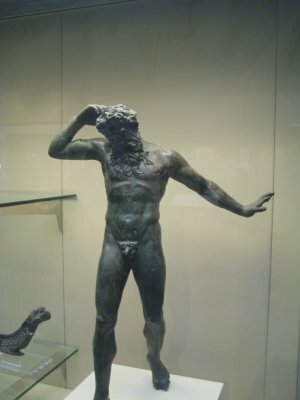 There is more from ancient Greece. 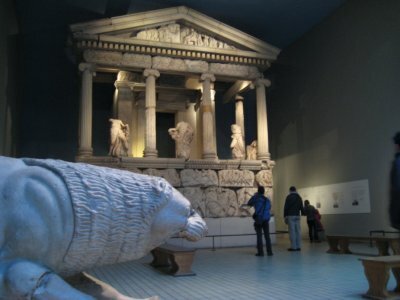 The Nereid Monument at Xanthos is a tomb, built around 380 BC by Greek architects and sculptors, for a king of Lycia (in south-west Anatolia). Between the columns stand statues of women, often referred to as "Nereids", from which the tomb takes its name. 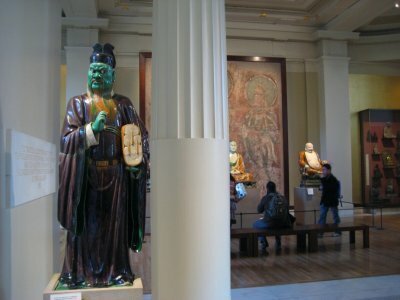 There is something about the flowing robes on the statue pictured below that captured my imagination. 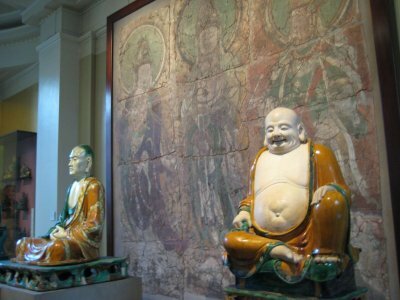 The robes looks almost silken, even though they are made from marble. For some reason, it reminded me of the song Dancing Barefoot by Patti Smith. 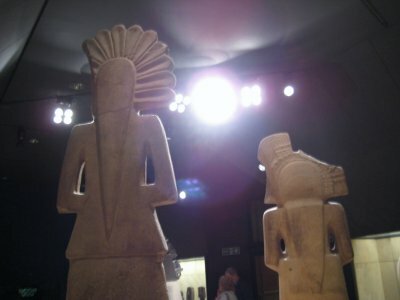 Also inspiring me, but mostly to make stupid puns, were these statues. What is everyone looking at? Half a head is better than no head at all! 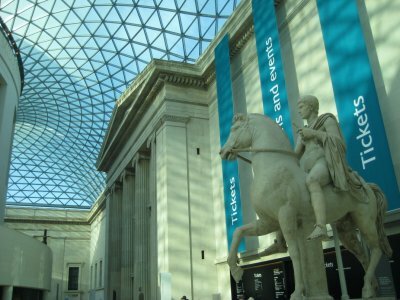 Following on from the Greeks were the Romans, who also happened to control the land upon which the British Museum sits some 2100 years ago. 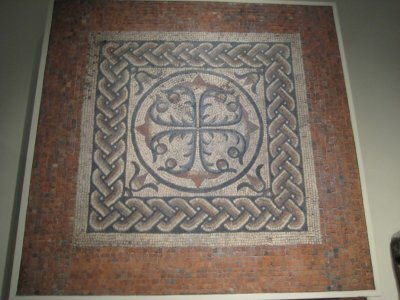 This wall is from the Lullingstone Villas, which I tried to visit once before, unsuccessfully, but it still ended up being an interesting day. 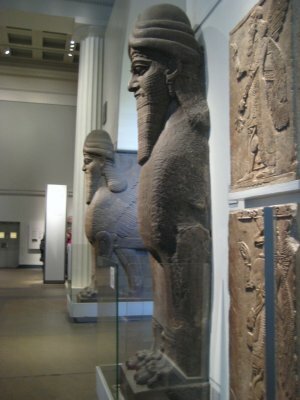 ...and even the Assyrians (from Iraq). One more thing I can check off my list of things to do in London. 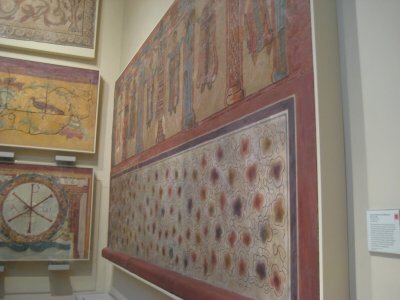 It is a truly impressive collection, and if you are the type of person that likes Museums, you'll probably love this one. Frankly, I don't like museums so I pretty much ran through the place, going through most every room in one hour and 15 minutes, stopping really only long enough to take the photos you see above. Otherwise, I just really wanted to get out and grab a seat some place. At least, though, in the future, the conversation will be different. 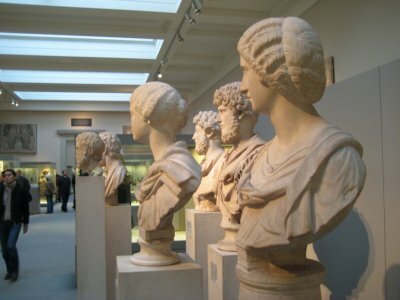 They will ask, "Have you been to the British Museum?" "Yes, I have," I will reply. Then they will ask me about something else that I haven't done (probably a West-end show), but at least I can skip that one question.